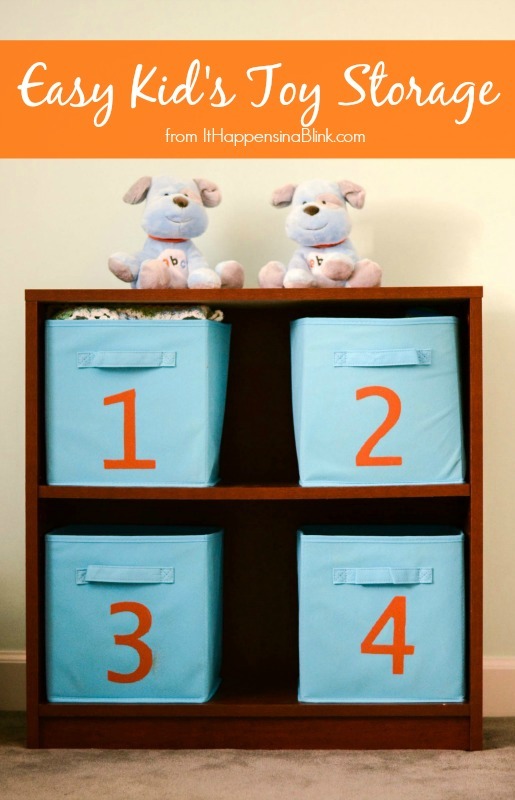 Thanks to Coupons.com for sponsoring today’s Easy Kid’s Room Storage Solution. All opinions and tales of my triplets are my own. Kid’s toy storage is tough. It’s difficult to find ways to store kid’s toys. Many of them are odd shaped, and almost all of them have multiple pieces. And there are only so many options that are kid-friendly and allow kids the ability to put away their own toys. My favorite storage system consists of collapsible fabric bins. 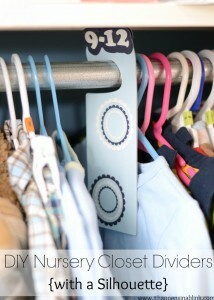 They can be folded when not in use, and simple vinyl cut outs or acrylic paint can be used to customize and label them for Easy Kid’s Room Storage Solution. 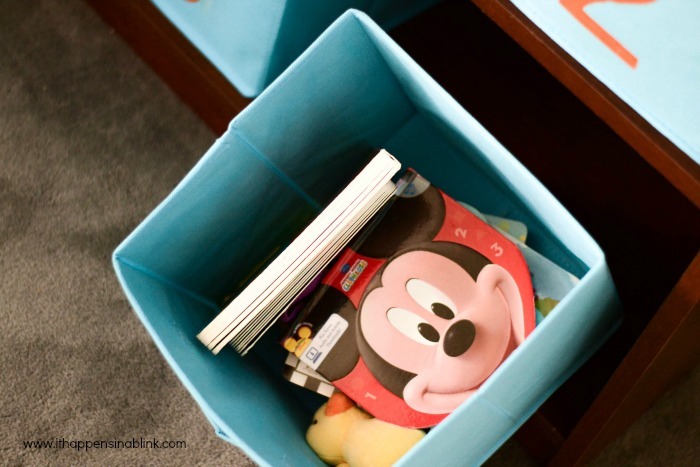 For older kids, label the bins with what should go in the bins, such as books, toys, crayons, stuffed animals. Label the bins for each child so that they have their own bin. This can be great to keep supplies or art projects separate (we all know how territorial kids are over their artwork!). For younger kids, label the bins with pictures of what should go in the bin, such as pictures of books or crayons. For those with a cutting machine, like a Cricut or Silhouette, cut out vinyl silhouette shapes to stick on the front of the bins. I labeled my bins with numbers for a decorative look. I’m using my bins in the boys’ room, so I used colors of their room and painted fun numbers on the front since they are in an infant’s room. I cut vinyl number stencils with my Cricut cartridge and used acrylic paint. 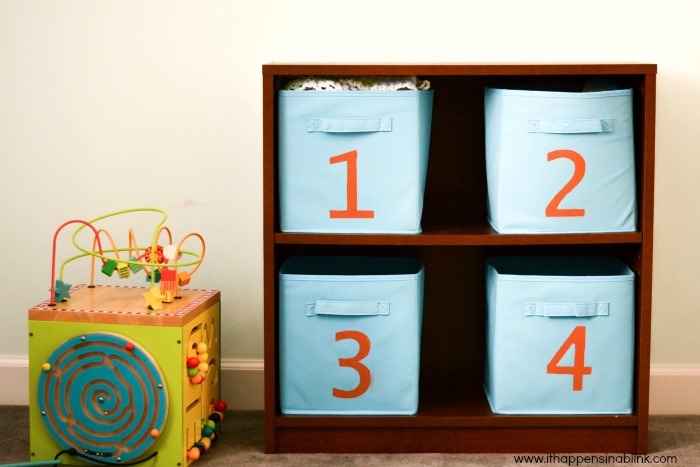 Using fabric bins is an inexpensive option for kid’s toy storage. I purchased my fabric bins at Target. Thanks for the great tips and giveaway! We use bins around here for toy storage too! Yes, organizations is key- hard, sometimes, but key! Love this! I seriously need to do something for my son’s playroom. It’s a mess! This idea is perfect. Thanks for the inspiration!!! Good tips! Keeping kids’ toys organized and under control is always a struggle! My twins are now 10, but I still find it difficult to keep all their toys neat and organized! My boys somehow disorganize everything so I try anything that I can! Seriously cute! I could see this being goo storage in any room! Entered the giveaway too. 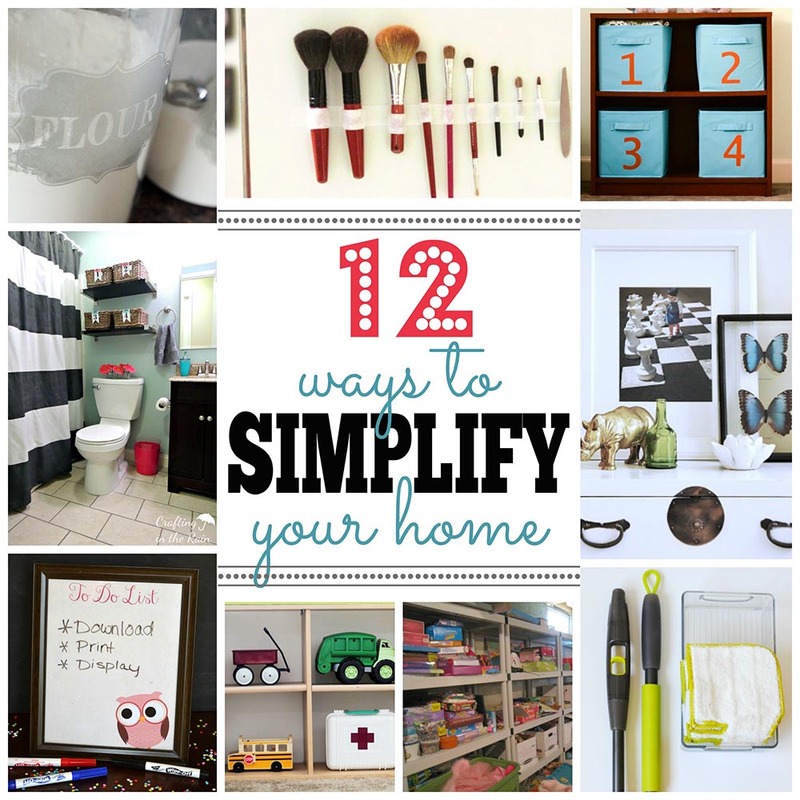 This is a great storage idea! Love how you numbered them! So convenient!! Clever to number them and I love the look!! PS On my way to enter the giveaway! Yup, toys can definitely be tricky to store. 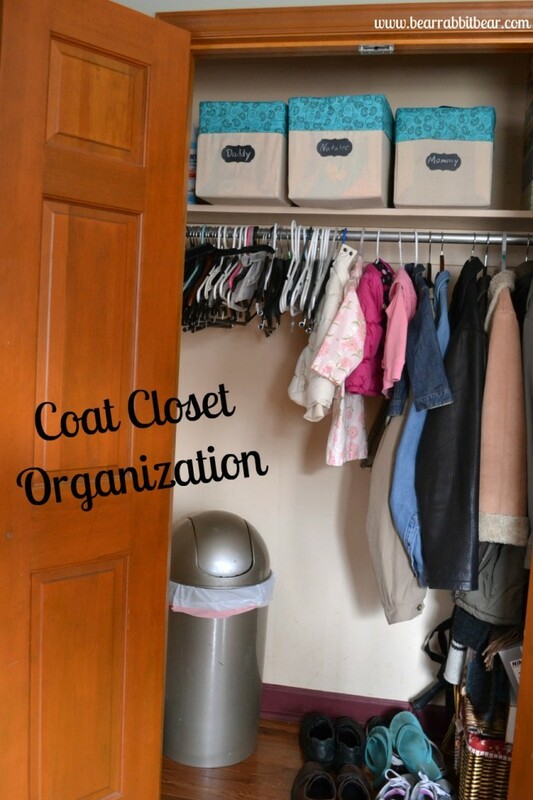 Love the idea of bins! I use collapsable fabric bins and cube organizers for toy storage, too…but I’d never thought about decorating the front of them! What a great idea! I love how those storage bins can make the shelves look all nice and neat!